Biotin Pure is also known as Vitamin H which is a part of vitamin B complex and is water soluble. Biotin supplement is indicated for the treatment of brittle finger nails as well as strengthening hair.Deficiency of biotin in infants will lead to seborrheic dermatitis and if left untreated this can cause anemia, hair loss, depression, inflamed mucous membranes, muscle pain, loss of appetite, high blood sugar levels and nausea. Moreover, Biotin supplementation may improve type 2 diabetes. 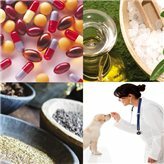 In veterinary, biotin is used for swine and poultry as feed additive.